There's some cool stuff to do in Elk City! 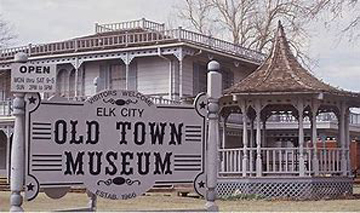 Elk City features five museums: the Old Town Museum, the National Route 66 Museum, the National Transportation Museum, the Farm and Ranch Museum, and the Blacksmith Museum..
Elk City is also in close proximity to many other attractions in Western Oklahoma, including Foss State Park, the Washita National Wildlife Refuge, Black Kettle National Grassland, the Wichita Mountains, the Antelope Hills, the Quartz Mountains, and the Washita Battlefield National Historic Site. Early Oklahoma pioneer life is depicted as visitors wander through this grand tow story Victorian house. Visitors will find the lower level of the house filled with early pioneer life, Stars & Stripes Room, Native American Gallery, and Elk City's own Susan Powell Miss America 1981 displays among the many sites to see. The upper level is devoted to the early cowboy and rodeo way of life. Numerous items are on display that have been donated by the world famous Beutler Brothers Rodeo Stock Producers. The Beutler Ranch is just north of Elk City and they have been producing award winning rodeo stock since 1929. 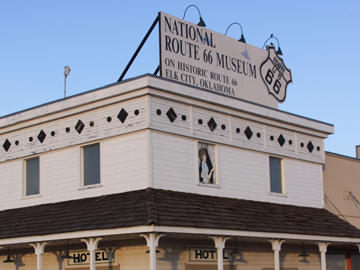 Visit the National Route 66 & Transportation Museum in Elk City to take a journey through each of the eight states Route 66 passes through – from Illinois all the way to California. 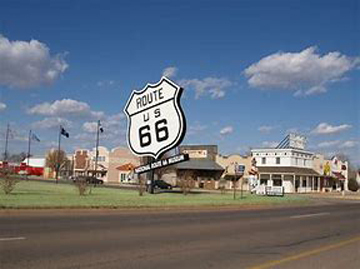 See quirky roadside attractions that lured people to stop, and get a feel for the experience of traveling down Route 66. Walk through displays of antique cars and historical documents detailing the narrative of America's highway. The National Route 66 & Transportation Museum invites both children and adults to experience automobiles of the past with interactive and hands-on displays. "Drive" down Route 66 in a 1955 pink Cadillac and watch a black and white movie at a mock drive-in theater while sitting in a classic Chevy Impala. The museum is part of the Old Town Museum Complex, complete with displays and artifacts that give a glimpse into the lives of early settlers in Western Oklahoma, as well as the Farm and Ranch Museum, celebrating Oklahoma's agricultural heritage. While you're at the complex, make sure to see the replicas of a schoolhouse, opera house, doctor's office and chapel, and immerse yourself in pioneer history. For 80 years, Elk City has hosted one of the most renown rodeos in the state of Oklahoma. The PRCA Rodeo of Champions, held every Labor Day weekend at the Beutler Brothers Arena, brings thousands of visitors to watch top ranked cowboys and cowgirls compete for cash and points as they ride, rope or wrestle their way to win national titles.